Description: After a few raccoon disasters in past years, we built a sturdy raccoon-proof dwelling for our hens when we moved to a new house. We nestled this enclosure against the side of our house, utilizing a space that would otherwise have gone largely unused. During the day the hens have the full run available to them, and at night they retire to the safety of a fully enclosed run with coop. We’re also happy to show you our 8 young fruit trees and growing backyard garden, as well as an 8-year-old grape vine that we are training along our trellace. 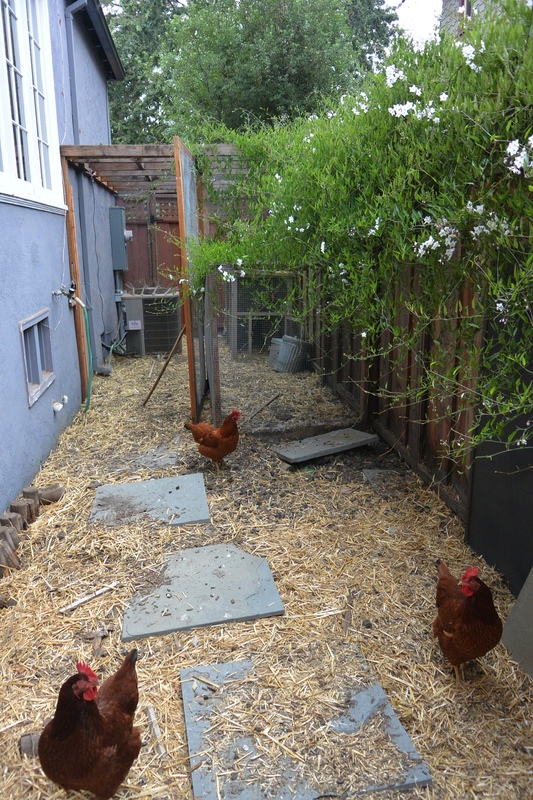 What’s unique: We made creative use of limited space in order to create our “Hen Haven” – feel free to drop by for inspiration. Offering: We will have lemonade for coop tourists!